Iconic Utah outfitter Ken Sleight began his river-guiding career in Glen Canyon during the mid-1950s, just as the Glen Canyon Dam blueprints jumped from the drawing board to remote desert terrain. The pulse of the Colorado River through the canyon would soon be halted by a cement wall and Glen Canyon backfilled with water. Sleight knew the condition of the canyon was terminal. He used every ray of daylight to memorize every detail of the canyon before inundation: to learn its 125 side canyons, to observe Native American ruins and mining relics, and to immerse himself in the lives of seminal guides who preceded him like Dave Rust, Bert Loper, and Moki Mac. Now 88 years old, Sleight and a team of Glen Canyon curators have opened the archives to create a museum exhibit: Glen Canyon: A River Guide Remembers. The exhibit includes historic landscape photographs, First American artifacts, boats and other gear, passenger portraits and journals, guides’ handwritten-packing lists, and more and is ongoing at the John Wesley Powell River History Museum in Green River, Utah through March 23, 2019. 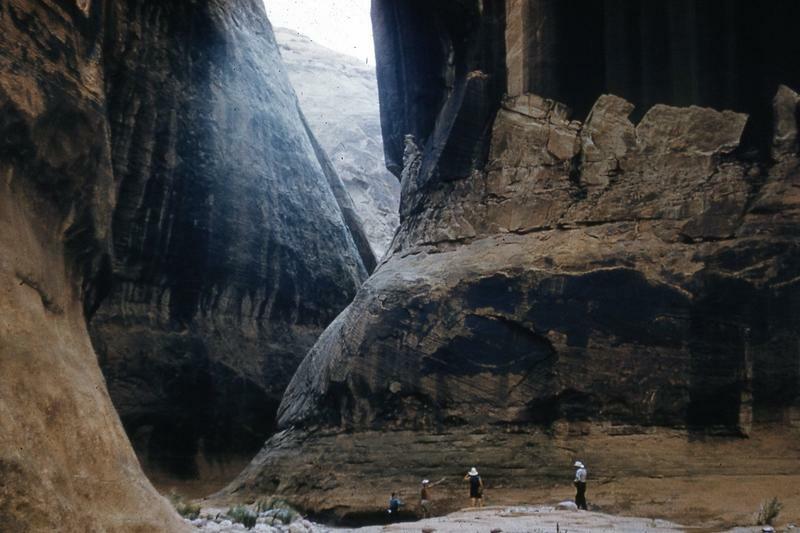 Fifty-five years ago, the federal government began flooding a Utah canyon by building a dam. 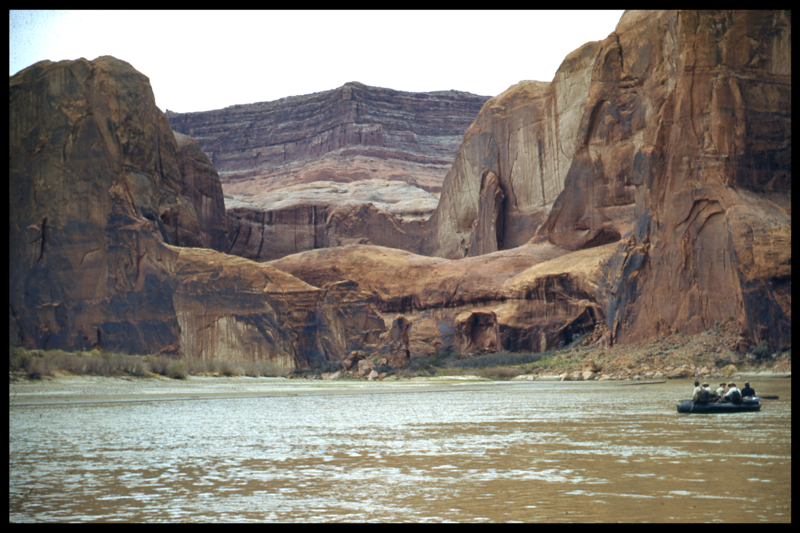 Water from the blocked Colorado River in Glen Canyon serves as a source of recreation on Lake Powell and produces hydropower for seven western states - Utah, Colorado, Idaho, Nevada, New Mexico, Texas and Wyoming.